This is a post that will hardly be of interest to anyone but me. No pictures, just words. No tasting comments, just thoughts. Anyone not interested can leave now: No offense will be taken. I’ve been wondering lately about whether it would be possible to put together a case of wines that would enable wannabe winos to learn the world of wine on their own, at their own pace. I myself got hooked on wine long ago by just such a mixed case that a retailer in Baltimore put together for me so I could explore wine. Of course, the wine world was a lot smaller back then, and very different from what it is now. That case cost about $100, which then was a substantial fraction of my monthly wage, and it consisted, if memory serves, entirely of French wines – because way back then if you wanted to understand wine, wine spoke French. Germany, Spain, and Portugal came up in wine conversation only peripherally, Italy and Austria very rarely, and California was the smallest, remotest blip on the radar. For most American wine lovers, South Africa, Argentina, Chile, Australia, and New Zealand did not exist as wine-producing countries, only as exotic vacation destinations. I don’t have to tell you that much has changed since then, and genuinely for the better. The wine world is broader and far more diverse now, and field and cellar techniques have improved to such an extent that I can honestly say we’re living in a golden age of wine. We now get good, better-than-drinkable wine from almost every harvest, whereas “back then” one or two of every ten vintages were superior, three or four were OK, and five or six were not worth the drinking. With all the changes that have occurred, I wondered what would happen today if a naif, as I then was, should walk into a good wine shop and ask a knowledgeable retailer to put together a case of wines to introduce him or her to the world of wine. Phew! Talk about the labors of Hercules: It would be an impossible task. One bottle from each of the principal wine regions of the world would overflow the case. One bottle from each of the principal wine-producing nations would easily fill it – and what kind of introduction to wine would that be, with something like a single Napa Cabernet representing all the wine of the US, or one red Burgundy all of France? No, the task couldn’t be approached that way: The whole question has to be rethought. Perhaps it could be done by using benchmark wines, great ones that show the heights wine can reach. That, of course, is where cost comes into play. Wine prices, like medical costs and the cost of a college education, have increased at many times the rise in incomes, and many times the rate of inflation, especially in recent years. The present-day equivalent of my 1968 $100 would be approximately $725 now: $725 would merely be a down payment on a single bottle of young Château Margaux. Back then, Margaux and Lafite and such wines – the great Bordeaux first growths – were little more than twice the price of wines like Château Gloria and Château Brane Cantenac, which were included in my introductory case. If memory serves, I’m pretty sure those two then cost under $4 a bottle. So the option of structuring our hypothetical case around benchmark great wines can only be a pipe dream: The cost would be prohibitive for all but hedge fund multimillionaires. So what about organizing by grape variety? That is, for American wine lovers at least, a very popular approach to wine, so let’s consider it. If we start with white wines, Chardonnay demands inclusion – but its very popularity makes it a difficult choice. Which Chardonnay fairly represents the variety? Burgundy? Chablis? Napa? Sonoma? Long Island? The Finger Lakes? Sicily? Friuli? Oaked, or fermented in stainless steel? That would be only Wine #1. Suppose we go on to #2: say Sauvignon blanc. From Sancerre or some other spot on the upper Loire? Or somewhere in California or New York? Or Friuli or Alto Adige? And where do we go for Wine #3? Riesling, to be sure – but from the Rhine or Moselle, or from Alsace, or the Pacific Northwest, or Australia, or Austria, or Italy? Only three grapes considered so far, and you see the dimensions of the problems. And the three varieties I’ve so far mentioned show the still built-in Francophilia of the wine world. We haven’t even considered any of the great white grape varieties of Spain and Portugal, Italy, and Greece. And beyond them, there is the plethora of “lesser varieties” from all these countries and from France, any one of which makes perfectly enjoyable wine. Once we say basta to white wines and move to reds, the problem becomes greater still: Cabernet Sauvignon, Merlot, Pinot noir, Syrah, Cabernet franc, Mourvèdre – or, to break the Francophilia, Aglianico, Nebbiolo, Sangiovese, Touriga nacional, Tempranillo, Nerello mascalese, and maybe even Zinfandel. It’s an endless task. For that reason, for the past 20 years I’ve resisted all suggestions that I update Mastering Wine. It’s impossible: That book’s format can never be used again, not for anything that pretends to be a thorough introduction to wine. No: There’s only one way that our hypothetical instructive case of wines could be assembled, and it’s by pure subjectivity. An individual could do it, drawing entirely on his or her own knowledge and preferences – making them clear, of course, every step of the way. That could produce a coherent collection, with both scope and focus and even some serious attention to cost control. I’m considering trying it, but it will be a time-consuming job, so stay tuned for developments – but not right away. When it comes to scenery, Long Island is no match for the Loire Valley. The flat former potato fields of the North Fork bear no resemblance to the steep vineyards and castellated towns that punctuate the shores of the Loire and its tributaries. Moreover, the soils of Long Island’s vineyards differ greatly from those of the middle Loire, home territory of Chenin blanc and Cabernet franc: If anything, the North Fork soils come closest to the low-lying, sandy gravels and clays of Bordeaux, where Cabernet sauvignon is king.. But despite all those differences, Loire grapes do very well on the North Fork. White varieties particularly thrive: Almost every grower on Long Island cultivates Sauvignon blanc, the star of the upper Loire, and Paumanok Vineyards particularly has had startling success with Chenin blanc, the prized white grape of the middle Loire. Given that, I wondered how well Cabernet franc, the chief red grape of the middle Loire, which makes such charming dinner wines as Chinon and Bourgueil, would fare on the North Fork. To find out, I decided to taste a representative Loire Cab franc from a classic appellation against Paumanok’s Cab franc – Paumanok because of its achievement with the middle Loire’s Chenin – and check out the similarities and differences. Easy and fun: my ideal combination for all chores. 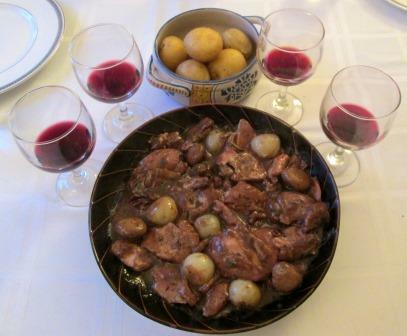 And made all the more fun when Beloved Spouse opted to make a classic Loire dish for us to taste the wines with: the perfect way to spend a rainy Sunday, eating and drinking our own personal sunshine. For this experiment I had on hand a 2016 Domaine de la Haute Olive Chinon and a 2014 Paumanok. It turned out to be just as interesting and enjoyable as I had hoped. Both wines smelled and tasted authentically of the variety – light fruit aromas, perhaps a little raspberry, with earthy, herbaceous notes and even a hint of smoke, soft on the palate, with moderate acidity and subdued black fruit: not powerhouses but charmers. Those are classic Cabernet franc characteristics. Tasted by themselves, in the sort of isolation that so often marks professional tastings and judgings, they seemed unexciting, but sound and well made. A hint of what they were capable of as dinner wines showed in the way both got the digestive juices flowing. They wanted food, and made the tasters want it too. As a textbook illustration of everything that’s wrong with formal wine tastings and their resulting scores, these wines changed dramatically when dinner appeared: Both just blossomed, opening complex, soft flavors that interplayed differently and beautifully with each dish. Their differences from each other, almost invisible in the formal tasting, showed more clearly with food, the Chinon slightly lighter bodied and more elegant, the Paumanok fuller, earthier – but both interacted splendidly with the dinner. (You can read about our dinner dishes on Diane’s blog, here.) It’s no wonder Rabelais loved the wines of Chinon: They played his game. It was abundantly clear from this little experiment that Paumanok Vineyards has gotten Cabernet franc right, verifying in my mind that it has a vocation for Loire grapes. The question it raises for me is, how much of the North Fork shares that vocation? The predominant red grapes planted there are, unsurprisingly, Cabernet sauvignon and Merlot, just as in California. The prestige of Bordeaux wines has largely straightjacketed American winemaking since the 1960s, and the small amount of Cabernet franc grown here is almost always used only in Meritage wines and other replications of the orthodox Médoc blend – so Paumanok deserves praise for having the courage to bottle a monovarietal Cab franc, and even more praise for getting it so right. The Cabernet franc red wines of the middle Loire make wonderful drinking, without being overly expensive: Sunday dinner wines you could call them, if families still made Sunday dinner a weekly special occasion. They don’t demand long aging, though they can take it, and they don’t require reverence or ceremony in their consumption. Though, come to think of it, they can probably take that too: I am just remembering that humble Cabernet franc constitutes about two-thirds of the blend of the fabled Cheval Blanc, one of Bordeaux’s greatest red wines. I do hope some Long Island grape growers will also remember that. I’ve never made any secret of the fact that I don’t enjoy much California wine. I’m not crazy about many New World wines, for that matter, but I’ve always made an exception for Zinfandel, a grape that has acclimatized itself so thoroughly as to be legitimately considered a native variety, especially in California. And for my money, nobody in California makes it better than Ridge. All that being so, when, a little while back, two successive days of sunshine and no rain prompted hopes of spring in me and thoughts of an American spring-ish dinner in Diane, the idea of drinking a Ridge Zinfandel followed hard on their heels. Of the several Zinfandels Ridge makes, Geyserville has always been one of my favorites. It’s an old-fashioned field mix of Zinfandel, Carignane, Petite Sirah, Alicante Bouschet, and Mataro – the kind of mixed grapes from all over Europe that used to be the staple of many small California vineyards before the homogenizing blight of Cabernet hit. In fact, since there is only 64% Zinfandel in this bottle (that’s roughly normal for Ridge’s Geyserville), it can’t be labelled Zinfandel, so it’s just Geyserville. For those of us who love it, ‘nuff said. Our American-ish, spring-ish dinner started with a few crackers topped with fresh cream cheese and wasabi-infused flying fish roe. The main course was a thick, bloody-rare NY strip steak, fried shoestring potatoes, asparagus (still not local, alas) and – especially – the first morels of the year. After that, two cheeses with which to finish the wine: Podda and Boucheron. We were very, very happy. The Geyserville enjoyed everything, even the wasabi fish roe; and with the steak and morels, it opened wide and tasted like a berry-filled forest, all brushy and dark-fruited with over- and undertones of leather and tobacco and even a little juniper. This is where I have to stress the vintage, 2010. This is not a newly released wine, but a seven-year-old. Not ancient, by any means, but anyone who thinks that Zinfandel is all about big, in-your-face, youthful fruit would have been surprised/shocked/distressed/bowled over by what Ridge made of it. Even though this Geyserville is still in the process of maturing, its fruit has evolved into a complex blend of restrained flavors. It’s an intensely civilized wine, very claret-y (does anyone still remember claret?) in style and texture, flavors and attack. On the bottle’s back label, the winemaker says “Rich, elegant, and structured, this fine zinfandel will provide enjoyment over the next decade.” That’s not hype: That’s understatement. All Ridge Zins evolve roughly this same way, and I think they’re at their best around 10 years old, if you can hide them from yourself for that long. They just keep getting more and more elegant, demonstrating just how much power and fruit they have by the grace with which they rein it in. I’ve marveled here before about Dave and Marc Caparone’s unmatched success with the three great Italian red grape varieties – Aglianico, Nebbiolo, and Sangiovese – in California. It made me wonder what they know and do that other California growers seemingly don’t. Dave Caparone is essentially publicity-shy. 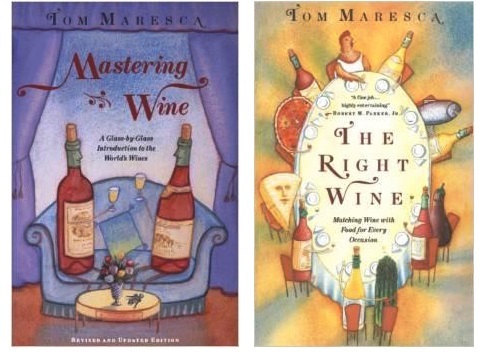 He is passionately committed to his craft, however, and when his son Marc suggested he write down some of what he has learned about growing those grapes, he complied. 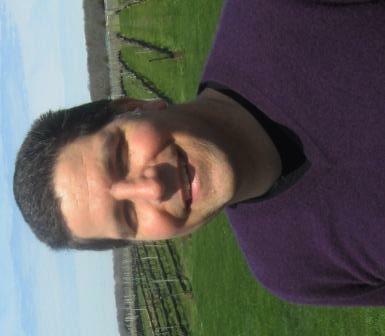 Marc gave me a preview of Dave’s remarks, which are now available on the winery’s website. Rather, he cuts through the whole thicket of issues the concept of terroir has become entangled with. His working premise starts with the most critical element of microclimate: the amount of heat each geographical area provides for vines – which determines whether a particular variety will mature properly or not. Some varieties such as Zinfandel and Cabernet Sauvignon seem to work well over a wider range of microclimates. 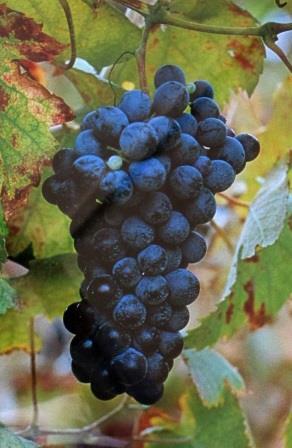 Others, such as Sangiovese, Nebbiolo and Aglianico do not. In the Paso Robles region, Zinfandel will mature properly in places where Sangiovese, Aglianico and Nebbiolo do. 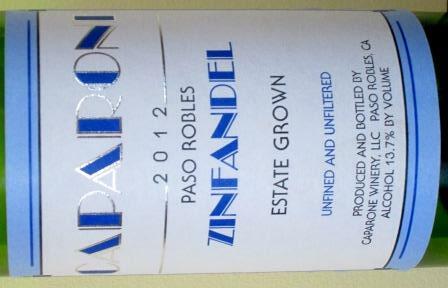 Zinfandel will also mature properly where there is not enough heat for Sangiovese, Aglianico and Nebbiolo…. Heat requirements are inherent in the grape and are the same whether the grape is grown in California or Europe. It’s difficult for me to make clear the radical directness of those seemingly simple statements. The Caparones’ experience in Paso Robles has shown them that many different varieties will do well in their soils and climates. If the soil and exposures are suitable for growing grapes, the microclimate seems to them to be the key determinant of what varieties will do well there. 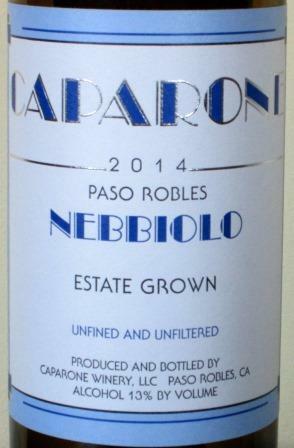 The Caparones’ remarkable several decades of success with Aglianico, Nebbiolo, and Sangiovese amply demonstrate that their position in one of the warmest stretches of the Paso Robles appellation provides the proper microclimate for all three varieties. Not entirely by the way: That accomplishment – that a single locus could succeed with all three of those great red grapes – would, in Italy, be a priori deemed impossible, and I think in most of California it would be judged improbable. Quoting Dave again, “If a grape variety is grown in an area that is too warm for it, the wines produced will lack balance and proper varietal character. If the area is too cool, it may not reach full maturity at all.” This seems to him to be the major source of difficulty in growing and vinifying grapes of almost any variety in California – or almost anywhere else, for that matter. In California with its lack of rain during a long growing season, there is very little annual variation. In all my years of winemaking I have never had to work with grapes that were not fully mature. In Europe, the situation is much more variable and grape maturity is an ongoing problem. No grape variety is inherently difficult or tricky, although weather and climate often are. Sangiovese, Nebbiolo and Aglianico are as easy to grow in our vineyard as Zinfandel. Let me underline that. Dave’s saying “no grape variety is inherently difficult or tricky” amounts to a major heresy in terms of wine-growing orthodoxy. I can’t count the number of times, over my journalistic career, that I’ve been told this or that variety is very difficult and requires lots of special attention. What Dave is saying is that the problem isn’t the variety but where you’ve planted it. If he’s right about that – and he certainly has the field experience to back up that contention – then a lot of professional enologists have been talking through their hats for the last 50 years. The other thing that strikes me about Dave’s words is his saying “I have never had to work with grapes that were not fully mature.” First, that’s amazing in itself, and second, look at the alcohol levels of Caparone wines in that light. They almost never exceed 13.5 degrees, and often fall as low as 13 – this at a time when alcohol levels of red wines all over the world, but especially in California, are soaring. So full ripeness doesn’t have to mean huge sugar levels and consequently huge alcohol levels? This ought to be big, big news to a lot of people – growers, winemakers, and consumers alike. It means that balance and restraint are intrinsically compatible with the fullest expression of fruit. The runaway train that was rushing all red wines in the direction of Port just got derailed, and I for one am dancing with joy on top of the wreckage. 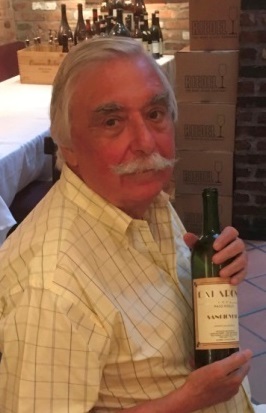 Dave Caparone’s conclusions about his experience growing Aglianico, Nebbiolo, and Sangiovese for 40 years in Paso Robles are among the most important reflections on the cultivation of those varieties that I have ever encountered. His experience ought to be a wake-up call for winemakers everywhere. His remarks deserve further publication in a journal of note – which my blog certainly isn’t – and the widest possible circulation. I hope they may receive that, and soon. * Grape images: Aglianico from Jancis Robinson et al., Wine Grapes, Ecco, 2012; Nebbiolo from Atlante delle grandi vigne di Langa, Arcigola 1990; Sangiovese from Il Chianti Classico, Vianello Libre e Fulvio Roiter, 1987. 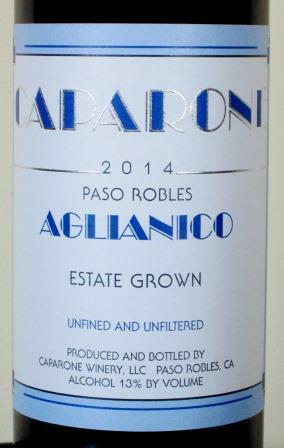 Caparone Vineyards: Great Aglianico, Nebbiolo, and Sangiovese – from California! This is a post I never thought I’d write: I’m about to go bananas over a California winery that isn’t Ridge, and over wines other than Zinfandel. Surely the Rapture is upon us, and we are entering the end of days. 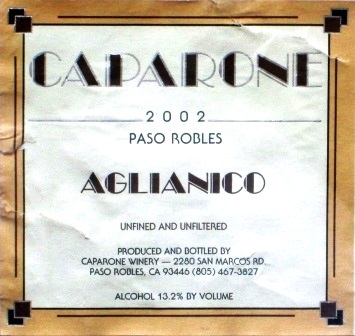 I’ve known about Caparone Vineyards for a long time, and I’ve always thought that it made the most successful versions I’d ever tasted of Sangiovese and Nebbiolo from California, which many of my readers will probably identify as pretty qualified praise. I visited the vineyards in Paso Robles back in the late ’80s, when Dave Caparone was not only a pioneer in the Paso Robles area but a voice crying in the wilderness about the potential of Italy’s great red grapes there. I was impressed both by what he had already accomplished and by what the future might bring, but Dave Caparone wasn’t in it for fame or fortune (neither of which I could have provided, in any case) but for the love of the land, the grapes, and the wines. So when he asked me not to write about him or his wines, I complied – reluctantly. One more item entered my already bulging files, and I shamefacedly confess I then forgot about Caparone. Somewhere in the early years of this century, a friend put me back in touch with Caparone, and Dave’s son Marc, now active in the company, sent me a batch of samples. I tasted, liked, remembered how I had been impressed by my visit, and resolved this time to write up the winery. No such luck: I couldn’t rouse any editorial interest anywhere. Antinori was then conspicuously failing in its attempt to produce Sangiovese-based wine at Atlas Peak, and the feeling seemed to be that if Antinori couldn’t do it, then Italian grapes probably had no future in California – so once again the data went back into the files and out of my memory. Until this month. 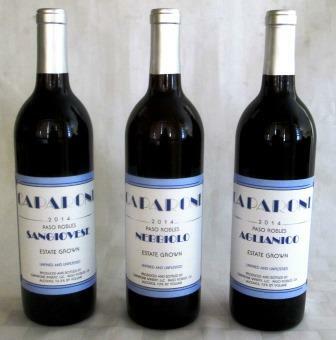 I was scrabbling through my wines, looking for something for dinner, when, in a remote bin, I found three Caparone bottles that I had totally forgotten I had: an Aglianico, a Nebbiolo, and a Sangiovese, all of the 2002 vintage. I more than half suspected that at 15 years old they would be over the hill, but I had to try them – and I assure you, I am very, very happy I did. All three are superb examples of their variety, although not Tuscan, not Piedmontese, not Campanian, and not what I normally think of as the brash California style either. But richly fruited, balanced, restrained, and elegant wines they emphatically were. They remained extraordinarily fresh despite their almost 15 years of very mediocre storage with me. These were thoroughly enjoyable wines of a kind and quality I could happily drink every day, if California would make more of it. 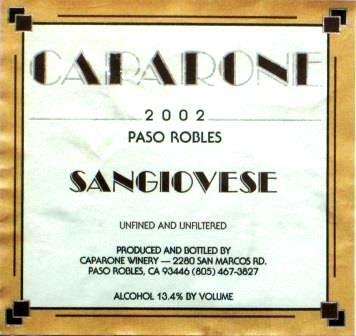 There is gold in them there hills, and Caparone is vinifying it. Wine making in Paso Robles has exploded since I long ago visited Dave Caparone. There are now several named American Viticultural Area subdivisions within the Paso Robles appellation, and – I believe – upwards of 200 producers working there. The zone has become a homeland for what are by Napa standards maverick varieties: More than 40 different wine grapes are grown there. Only a few growers are trying the three great Italian red varieties, and that’s because, even in Paso Robles’ highly varied soils, they are difficult. Think about it: They thrive in Italy in three very different parts of the country, with widely different soils and microclimates, and even within their home turfs these are cantankerous varieties. The challenge to grow all three within the confines of a single California AVA is impressive, to say the least. Think how much more so in a single small estate! I remember that in my long-ago visit, Dave Caparone stressed how crucial it was to site each variety appropriately, to fit the grape to the soil and the microclimate as perfectly as possible. No one who knows how cranky Aglianico, Nebbiolo, and Sangiovese can be will be surprised to hear that, and from what I’ve tasted, it seems he’s done that job spectacularly well. 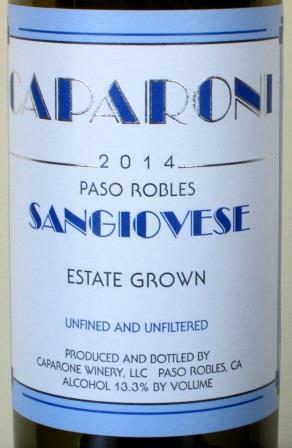 I tasted the Sangiovese first, with a simple dinner of good grilled meat and fresh Greenmarket vegetables. From my first sniff, the wine had my attention: a rich, complex aroma of sottobosco and mint, raspberry and red currants. The color showed as lovely pale garnet, looking properly but not excessively aged. In the mouth, it was delightful – light, balanced, and round, tasting of berries and red fruits, still fresh and vigorous, but well-bred and restrained. It loved food, all sorts of food. What struck me above all was that it showed excellent Sangiovese character without being in the slightest respect Tuscan. That fruit was pure California in its vitality, but without any of the bold, jammy style that I dislike in so many California wines. A few days later I tried the Aglianico. If anything, this wine was even better than the Sangiovese. It sported a lovely deep garnet color, very live looking. The nose was powerful, deeply vinous, slightly acetone, but mostly black fruit. On the palate, deep dry plum, leather, tobacco, and more fresh fruit – all very live. It finished long and complex – licorice, plum, and leather. This was a big, mouth-filling wine, very elegant and extremely persistent: The flavor went on and on. It loved food: It just sang alongside a soft, young Gorgonzola dolce – in fact, at that point, it tasted a lot like a great Piedmont Nebbiolo. I have noticed before that Taurasi and Barolo grow to resemble each other as they mature, so that didn’t completely surprise me – but it is a great testimony to how completely the Caparones have captured the essence of this great, tricky variety. 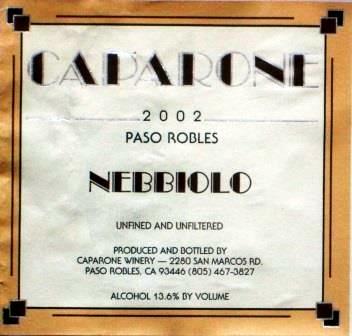 Finally, a day or so later, I tried the Nebbiolo. I was not disappointed of my by now-high hopes. A properly orangey-garnet color, slightly paler than the preceding two wines. A huge nose of blackberry, cherry, and roses. In the mouth, big, round, and soft, with elegant tannins and fruit following through on the promise of the aroma. Raspberry and leather in the long finish. All in all, an elegant and restrained wine of lovely, pure varietal character. These three wines to me represent the best sort of winemaking, where nothing has intervened to alter or disguise what the grapes have to say. Wines like this give me great hope for the future of California winemaking: They set what I consider a benchmark for other California wines to aspire to. And, as far as I can tell, they are very reasonably priced – at last look, under $20 for new releases. You’ll just have to be patient and let them mature. Believe me, it’s worth it. Every now and again, a wine comes out of left field and just bowls me over. This happened last week when I opened a bottle of Paumanok Vineyards’ Minimalist Chenin Blanc. To say the wine impressed me understates the case: I thought it was gorgeous. The dry and sweet white wines of the middle Loire are pretty much the gold standard for Chenin. This Long Island wine tasted fuller and richer than most dry Vouvray, less austere and almost as structured as Savennieres – which, god knows, is about as good as Old World Chenin gets. An eye-opener, an attention-getter of a wine. So I decided to look further into it. 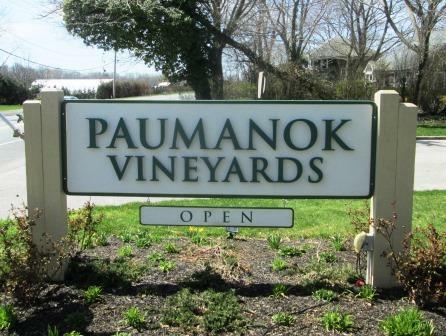 Paumanok Vineyards got started in 1983, which makes it an old-timer among Long Island wineries. There were only a few of them then, pioneers excited by the possibilities of the North Fork’s long growing season and well-drained soils, as well as a loose similarity to the climate and terroir of France’s prized Médoc. The basic agriculture that had sustained the region – acres and acres of potatoes, cabbages, and corn – was fading, and land was available. 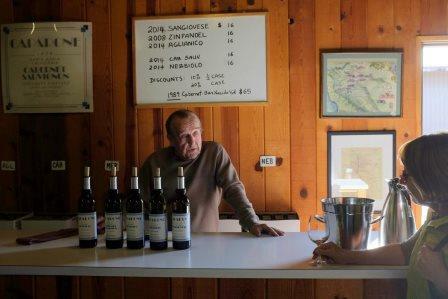 If wine-growing did nothing else for the region, it scored a major triumph in saving the North Fork from developers and their battalions of boxes. The Massoud family, owners of Paumanok, has roots in Lebanon and Germany, but from the start they planted French varieties: Cabernet sauvignon, Cabernet franc, Merlot, Chardonnay, Riesling, Sauvignon blanc, even Petit verdot. 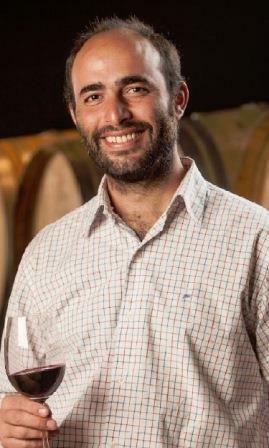 Kareem Massoud, son of the founder and now winemaker, says that there is nothing distinctive about the terroir of the Chenin vineyards, but that all the Loire varieties – especially Sauvignon blanc and Cabernet franc – seem to do well on Long Island. Chenin blanc, he says, they found growing on a plot they acquired in the late Eighties – and they almost ripped it out, until they realized how well it was doing. I lived on Long Island way back when, and find it hard to imagine how Chenin blanc had ever found its way there among the potatoes and pumpkins, but a wonderfully serendipitous find it was. Paumanok’s Chenin blanc every year ranks among the best in the US – and yet it remains the only one made on Long Island. Hello? How can that happen? Do all the other producers hate Vouvray? This wine was produced using minimalist winemaking techniques. The fruit comes from our vineyard planted in 1982. Select clusters of unblemished Chenin Blanc that had attained total ripeness were carefully hand harvested and whole cluster pressed. The juice was transferred into stainless steel barrels where alcoholic fermentation spontaneously occurred. Only 84 cases were bottled. As Kareem pointed out to me, this is a purely variety- and terroir-powered wine: Nothing intervenes to modify the expression of the grape and the soil. That purity comes through on the palate with lovely intensity. 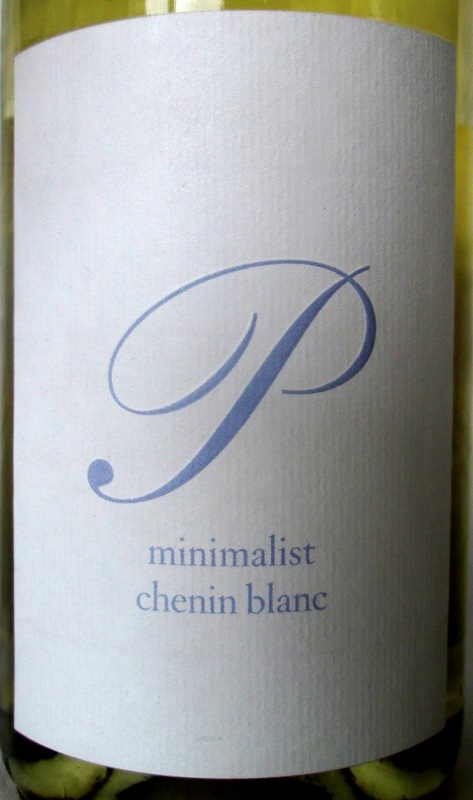 Diane and I drank this Minimalist Chenin with some Scotch smoked salmon, followed by simply sauteed filets of John Dory, and it made a wonderful match with both. Its fruit was rich and dry, but hard to pin down: The closest I can come to an accurate descriptor would be half-ripe white figs with an amazing underlayer of minerality and structured by vivid acidity. I would guess that, like many Loire Chenins, this wine could age very well – but I can honestly say that I would be hard put not to drink it all before it had any chance to mature. For me, this is a masterly American wine. I wish there were more of it, and I hope there will be, eventually. I have never been a great fan of New World wines. For my palate, they are – generally – too fruit-forward and simplistic, lacking in depth and complexity, and often too tannic and insufficiently acidic to match well with food. I recognize, however, that what I call deficiencies many wine lovers regard as plusses, and that that style has many admirers. Just read the tasting notes in any issue of The Wine Spectator to see what I mean. More important, New World wines are evolving (so are Old World wines, for that matter, but that is a topic for another post). Many of them have been, by my standards, steadily improving, becoming more food-friendly, which I think is crucial. Almost as important, many have dropped the almost confrontational, fruit-forward style in favor of an increase in elegance and complexity that makes them for me much more interesting to drink. I had this change underlined recently when I had the opportunity to taste a few Malbecs from Bodega Trivento in Argentina’s Mendoza Valley. I don’t attend many of these occasions, anticipating disappointment, but it seemed about time I opened my mind and my palate to see what was going on below the Equator. I’m glad I did. Malbec first entered my consciousness decades ago as the major grape variety in Cahors. The town from which the wine takes its name is deep in the heart of La France profonde, situated picturesquely within a horseshoe bend of the river Lot in Quercy – truffle, chestnut, foie gras, and game country, well worth a gastronomically minded traveller’s attention. Its wine, hearty, deep, a bit rustic but capable of long aging, was once almost legendary in England as “the black wine of Cahors” for its depth of color and flavor. I loved it. Diane and I even made a pilgrimage there back in the Seventies, when Cahors was just beginning to reclaim the importance it had lost with the devastations of the phylloxera, and I still recall with great pleasure some of the meals we ate and wines we drank there. 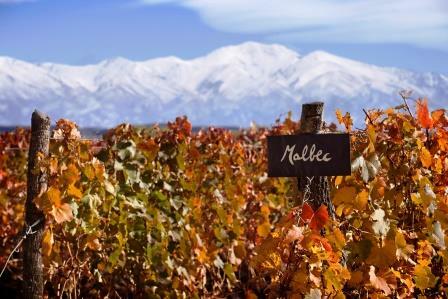 Malbec was once a very important variety in France, grown in almost every significant wine region, even Bordeaux. It was almost always used in blends, rarely as a monovarietal wine. In South America, where it has established a new homeland in Chile and especially in Argentina, it is used both ways. 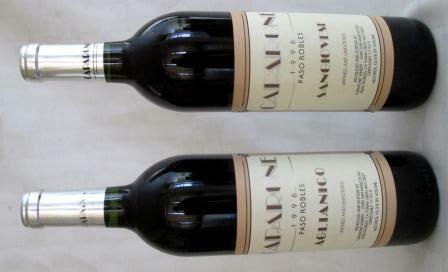 In Argentina the monovarietal version seems to be both the most esteemed and – for my very European palate – the most successful. Tasting with Trivento’s winemaker Germán di Cesare, I tried the red blend Amado Sur (70% Malbec, 20% Bonarda, 10% Syrah) and three vintages (2011, 2012, 2013) of its 100% Malbec Golden Reserve. 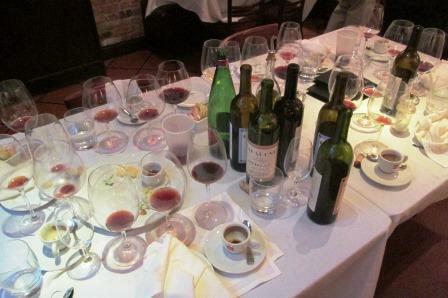 (Charles Scicolone gives a full account of this tasting on his blog). These all derive from high-altitude vines, and they are grown on their own roots from pre-phylloxera stock. I was impressed by the wines, both for their intrinsic drinkability – no overpowering tannins, good structural acidity, prominent but not palate-drowning fruit – and because they reminded me of old-style Cahors. In my book, that is very definitely a compliment, and it’s what prompted me to try re-tasting the Golden Reserve Malbec at home, side by side with a respectable Cahors, Le Petit Clos from Triguedina, a long-established Cahors producer. 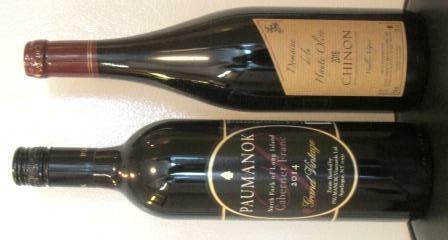 Both wines were from the 2011 vintage (that made the Trivento about six months older than the Petit Clos). The Golden Reserve was 100% Malbec, the Petit Clos 80% Malbec and 20% Merlot. We tasted them both by themselves and with food (a broiled steak) and finished them up over the next several days. Both held well and were still pleasantly drinkable a few days on. 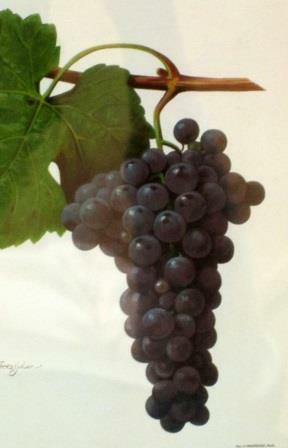 Both wines showed the deep, dark coloration that gave Cahors its traditional name. The Cahors had an earthy, grapey aroma, strong and assertive. So too did the Golden Reserve Malbec, with a slightly more evident berry note. On the palate, some differences began to show. Le Petit Clos felt smooth and soft, with good underlying tannins and decent acidity. It offered blackberry/mulberry flavors, with a hint of black pepper, and a long, slightly tobacco-y finish. It impressed me as a somewhat rustic wine, hearty and enjoyable. 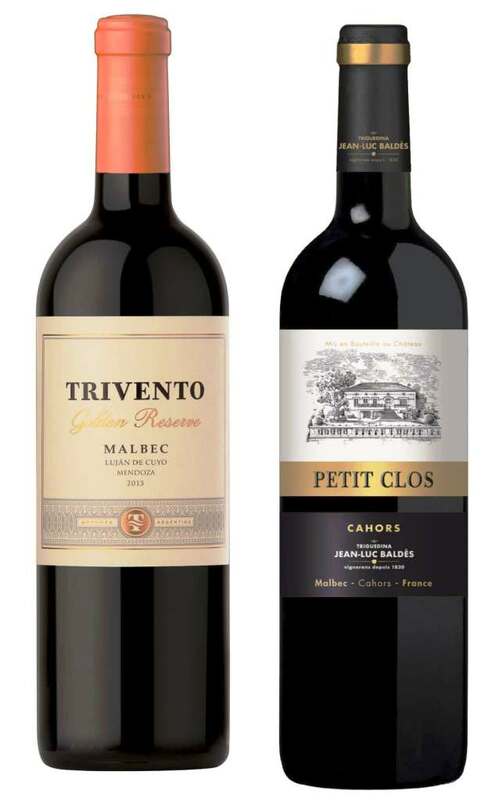 The Trivento Malbec showed its New World origins clearly in its fruit-forwardness, which was the initial palatal impression it made – all dark berries and plums. To my surprise, however, that ostensibly big fruit attack was mollified and balanced by its acidity, more perceptible than that of the Cahors, making it lighter in the mouth. It too finished long, with berries and leather. Overall, despite the differences it was quite comparable to the Petit Clos: The family resemblance of the two wines’ fruit stood out clearly. I found the Trivento thoroughly enjoyable though perhaps a bit simpler, at least at this age. Both wines are definitely capable of a good amount of bottle-aging and development. And both seemed a tad more sophisticated when tasted alongside that juicy steak, which may seem like no news at all – except that in the not far distant past it used not to be the case with many New World wines. As far as I am concerned, that is very good news, as is the fact that you can buy an almost-Cahors-equivalent wine at a very reasonable price (around $22). Intrigued, I went on line to the Journal’s wine website to find out more. 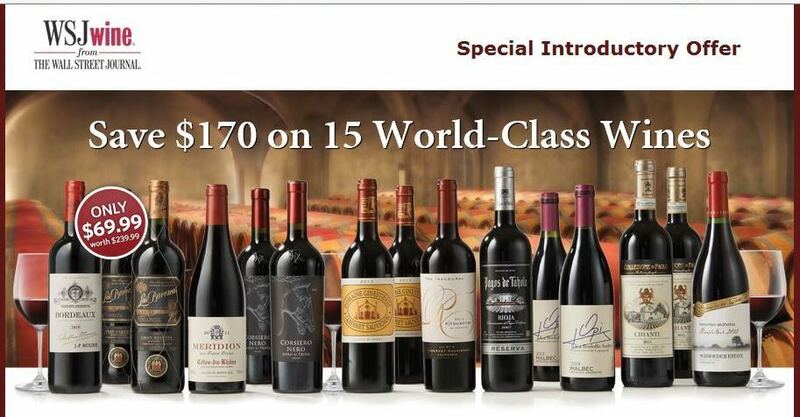 What I found is that WSJ has entered competition with wine retailers, and it seems to be bottom-fishing, looking for wine novices who can be told that some fairly ordinary wines are really prestige items. The newspaper sponsors numerous wine clubs and even more sales items, all marked by the kind of this-is-the-greatest-whatsis-you’ll-ever-see hype that my generation used to associate with sleazy used-car salesmen. A bit of a shock to (probably naïve) me, who always associated WSJ with the higher reaches of capitalism (though clearly that has become a contradiction in terms). As an introductory lot, that’s an odd selection, to say the least – a non-Burgundian Pinot noir, 3 or 4 (or is it 5?) 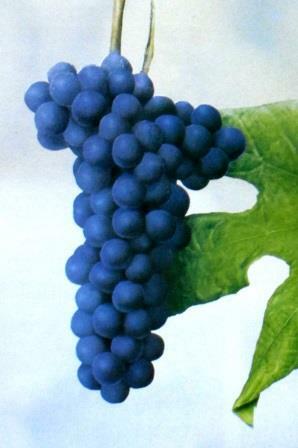 Cabernets, and as the second wine from Italy, the fairly recondite variety better known as Uva di Troia. Christian Moueix for 38 years was in charge of $3,000-a-bottle Chateau Petrus – perhaps the most sought-after Bordeaux of all. Today you’re invited to enjoy his Private Reserve from blockbuster 2010. If that isn’t deliberately misleading advertising, then there is no such animal. “Private Reserve” is just a meaningless commercial name without either legal standing or descriptive accuracy. The wine in question is in essence a simple shipper’s generic red Bordeaux, pretty much the lowest common denominator of wine from the area. The rest is piffle. 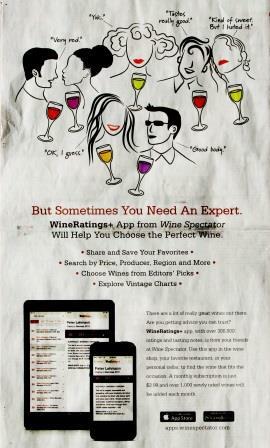 A parallel instance: A full-page ad in a Wednesday Dining section of the New York Times puffs a wine-rating app from The Wine Spectator to “help you choose the perfect wine.” “Are you getting advice you can trust?” the ad asks; well, “300,000 ratings and tasting notes . . . from your friends at Wine Spectator” will take care of that. As Mad Magazine used to say, Aaaarrrggghhh! Give me a break! There is no such thing as “the perfect wine.” As I argued decades ago in my book, The Right Wine (where I learned never to use an ironic title), there are many wines that can be right for the occasion and for your palate, but “the perfect wine” is a chimera to intimidate novices. And what good are any number of tasting notes (300,000? Really?) if they don’t match what your palate experiences? They taste wild gooseberry, you taste asparagus: Who’s right? There’s no point beating a dead horse, so I won’t go on with this, except to say that for me these sorts of things epitomize everything that is wrong with the hyper-commercialized world of contemporary wine. They are misleading at best, and can conduct people curious about wine into total dead-ends, leaving them thinking that the wine they’ve just drunk, which they found ordinary or distasteful, is actually A Great Wine – and therefore that maybe wine isn’t for them after all. Wine enjoyment doesn’t come from “big names” attached to little wines or from somebody else’s elaborate tasting notes: It comes from finding out what your palate can discern and what you enjoy. The rest is piffle. Color me an old curmudgeon, but I much prefer – and still believe in the validity of – learning wines by judging them according to your own standards, not somebody else’s overwrought opinions. Eons back, in my book Mastering Wine, I tried to help people do that by presenting some reasonable tracks for understanding wines by tasting them in pairs. Many of the particulars of that book are now dated, but the learning method remains rock solid. 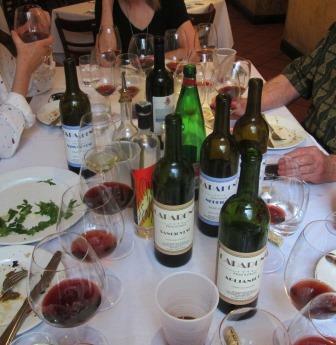 Tasting in pairs is the surest way to learn wines and to shape your own palate. It doesn’t matter how little you know about wine or how limited a vocabulary of scents and flavors you may start with: Put two wines side by side, and you’ll always notice some difference between them – and you’ll probably like one better than the other. That small something will give you your point of entry, the thin edge of the wedge that will let you open up the whole world of wine. If you’re a novice (and things like the WSJ Wine Club seem aimed at the insecurities of novices), start broadly and start classically, because that’s where you’ll most easily see the biggest differences. Don’t begin with a California Pinot noir, which might taste of anything (sometimes even Pinot noir). Start with a decent red Burgundy of a not rarefied level – say a Côtes de Beaune – and taste it against something else equally characteristic. A small-château Médoc or St. Emilion, an inexpensive Langhe Nebbiolo, a simple Rioja, a Chianti Classico: Any of those would do because each has an identity of its own, so that the differences you’re bound to perceive between any two of them will teach you about both. And take notes, because the first few times you won’t remember what you’ve tasted: Aromas and flavors are fleeting, which maybe is why we pursue them so ardently. Once you’ve got that initial round of tastings under your belt or over your palate, the rest is easier, though it can be more expensive. Either look into more pairs of the kind of wine you preferred from the first pair, or step up a quality level with the next pair. Try a Burgundy Village wine – a Nuits St. Georges or a Pommard – and a non-cru Barbaresco or Barolo, for instance. Just pay attention to what’s going on in your nose and mouth, to the aroma and taste of the wines, and continue to take notes. If you can make yourself focus (and for many Americans, paying attention to what they’re eating or drinking seems almost unnatural), you’re well launched on your way to understanding and enjoying wine. There is a whole world of grape varieties and wine styles ahead to explore as much or as little as your pleasure and budget will allow. Just don’t let alleged prestige or hype or other people’s opinions (including mine) sway you: As I’ve said often in this blog, you taste only with your own mouth, and you can learn wine only with that same instrument. The pen may be mightier than the sword, but it’s no match for the tongue.